Kenya is located astride the equator in eastern Africa. It covers approximately 580,000 square km. It borders Ethiopia, Uganda, South Sudan, Somalia and Tanzania (Figure 1). Key geographical attractions include the Great Rift Valley, which features extinct volcanoes and hot springs, and Kenya’s coastline, complete with reefs and magnificent beaches. Combine all this with a well-developed tourist infrastructure of hotels, lodges, campsites and a variety of activities, and its no wonder Kenya is a popular tourist destination attracting millions of visitors each year. 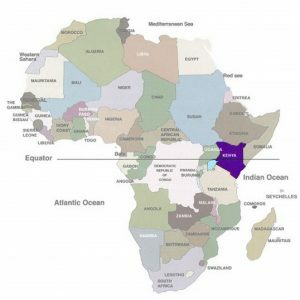 Kenya is blessed with a wide range of topographical features – from the low plains found along the coast, bisected by the Great Rift Valley, to the fertile plateau in the west. The Great Rift Valley is home to a number of lakes, arid and rugged landscapes, and volcanic landforms with areas of active hot springs and geothermal activity. Mount Kilimanjaro, Africa’s highest mountain, is located along the border between Kenya and Tanzania. Breathtaking views of Kilimanjaro can be seen from Amboseli National Park. The second highest mountain – Mount Kenya – can be found at the country’s center. Kenya enjoys a tropical climate. The coastal area is warm and humid, the central highlands are temperate, and it is both hot and dry in Kenya’s north and northeast regions. Rainfall in Kenya is seasonal with most rain falling between the months of April and June and shorter rainfalls occurring between October and December. 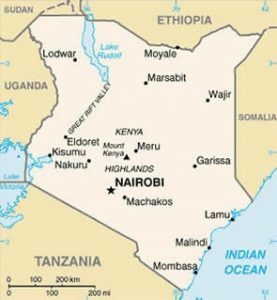 Kenya has a population of more than 38 million people, with about four million residing in its capital city, Nairobi. There are 42 ethnic groups who call Kenya home; each group has its own unique language and culture. Although Kikuyu is the largest ethnic group, the Maasai are the most well known due to both their long-preserved culture and their involvement in Kenyan tourism. Kenya is also home to immigrants of other nationalities, including Europeans, Asians, Arabs and Somalis. Kenya’s official languages are English and Swahili. Game Safaris and wildlife tours are Kenya’s biggest attractions, drawing many visitors to the country each year. Kenya manages more than 20 national parks and national game reserves, where visitors can view some of the country’s most spectacular wildlife, including the “Big Five” animals. In fact, the “Big Five” are the central focus of the majority of safari tours and wildlife expeditions offered within the parks. Kenya’s most popular game park is the Masaai Mara, which borders the Serengeti plains in Tanzania. Between July and September, visitors can witness the remarkable annual wildebeest migration which takes place at the Mara. Kenya’s many beaches along the Indian Ocean are the country’s second biggest tourist attraction. Visitors can enjoy clean beaches lined with palm trees and studded with luxury resorts, with coral reefs located just offshore. The City of Mombasa is the entry point to the coast, with beaches extending south to Malindi and north to Lamu Archipelago, a world heritage site. 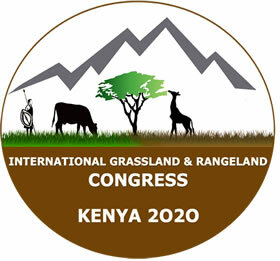 Kenya is one of the top agricultural producers in Africa thanks to the rich soil of the Kenyan highlands. Coffee, tea, tobacco, cotton, pyrethrum, flowers, cashew nuts and sisal are Kenya’s cash crops, with fruit, vegetables, beans, and cassava emerging as key crops for subsistence. Cattle, goats and sheep are also important agricultural products. Major export markets include Kenya’s neighboring countries, as well as several European and Asian countries, and the United States. The Republic of Kenya is a multi-party democracy with a National Assembly. The constitution declares the president as both the head of state and the head of government. Kenya’s government has been stable and the recent administration has worked hard to improve the country on many levels, from education, technology to health care to economic growth. 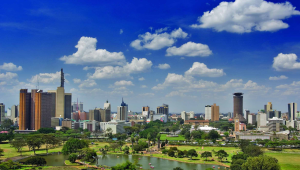 Nairobi is the capital city of Kenya with a cosmopolitan population of over 3.2 million people. It is the only capital city in the world that has a national park. The park is endowed with a rich variety of wild life making the city a unique tourist destination. The city got its name from a Maasai phrase ‘Enkare Nyorobi’ meaning ‘the place of cool waters.’ Nairobi is the most populated city in East Africa and the fourth largest city in Africa. Starting off as a simple rail depot along the railway line connecting Mombasa and Uganda in 1899, today Nairobi is a hub for business and culture. It is also a home for many international organizations along with the United Nations Environmental Program and UN Habitat, and companies. Infrastructure in the city is well-developed with modern equipment and systems. The Nairobi Securities Exchange (NSE) is one of the largest in Africa and it is recognized as an overseas stock exchange by the London Securities Exchange. The city has textile, building material, food and beverages industries which are important pillars in economic growth. Agriculture also contributes to the economic growth of the city. Agricultural land that produces, food crops, horticultural crops like flowers, cash crops and livestock surround the city.